In 2016, we updated our general surgery catalog with thousands of new instruments. The predecessor catalog was published in 1993 and had served the needs of our customers for more than two decades. It was obvious that the new catalog would serve many decades as well. Hence it was important that the cover of the catalog should be impactful and worth remembering. After many trials and design revisions, we finally decided to explore a unique concept for our catalog covers. 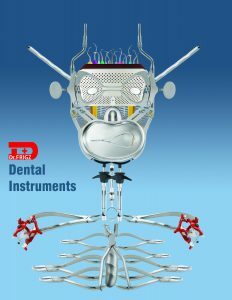 We decided to use the actual instrument pictures to design a ‘shape’ of man. 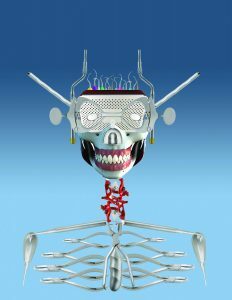 This ‘man’ will be composed of the various instruments depicted in that particular catalog. 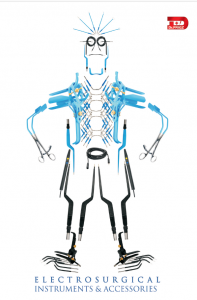 So for our electrosurigcal catalog, we used the insulated instruments and accessories to depict our ‘electro man’ and for our general surgery catalog we designed the the running ‘surgery man’. 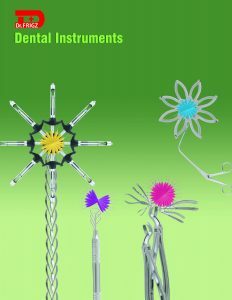 Now it is time to update our dental catalog and we are once again back to the drawing board. The attached pictures are some of the ideas that were floating (some better than others) but we have finalized a design that is not yet uploaded here. It will be a surprise so keep watching this blog! 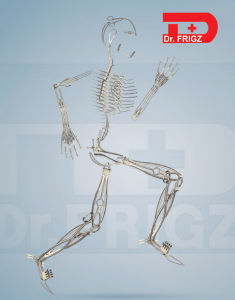 Note: All the designs depicted here are copyright and trademarks of Dr. Frigz International.